Hunter x Hunter fans and followers received a shocking and worrying revelation about severe back pain crippling its creator, Yoshihiro Togashi. After some weeks, the mangaka announced that his series would fall on another hiatus. Hunter x Hunter manga, infamous for hiatuses longer than it's in print, remains to have an unknown comeback date. This maybe good news for all. 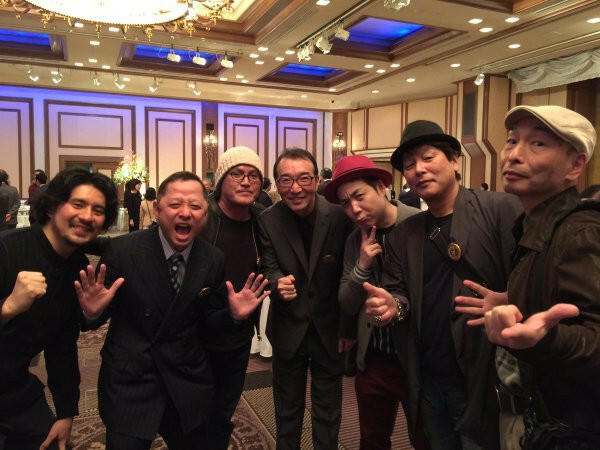 Signs of life were detected when illustrator Hisashi Iguchi tweeted a photo with Togashi out on a party. He looks quite happy and healthy. Could this mean that Hunter x Hunter manga would resume anytime soon? The photo was flooded with well-wishes from Japanese fans. We got to thank him for letting us know about Togashi-sensei's whereabouts and how he is. Although nothing was mentioned about the return of Hunter x Hunter in print, it is very good to see that Togashi is looking lively and healthy enough to party and have fun. We are hoping that sensei will recover at the soonest. I assume everyone does.